According to the latest market share survey from NetMarketShare, the market share for Mac OS X and iOS both dipped in August. According to the report, among desktop operating systems, Mac OS X had 7.53% of the global market share in August compared to 7.67% in July (that’s global market share; in the US it’s over 12%). The all-time high for OS X was in October 2013 when it had 7.73%. 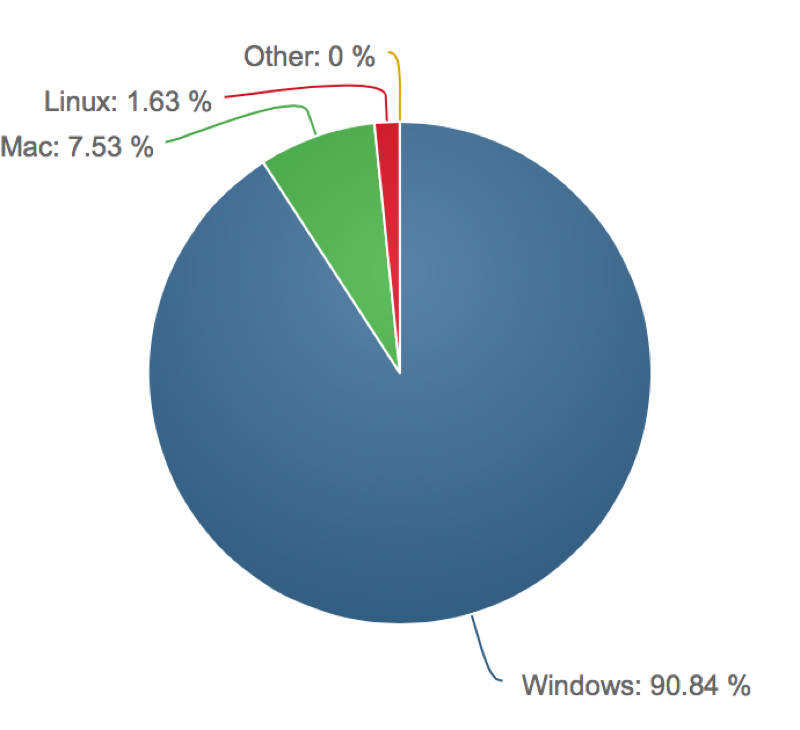 Windows remains dominant with 90.84% as of August. That's up from 90.65% in July. iOS had 40.82% of the mobile operating system market share in August, down from 41.55% in July. This compares to 52.14% for Android, 2.60% for Windows Phone, 1.72% for Java ME, and 1.38% for Symbian,. Android was up from 51.12% in July. The all-time high for iOS was in July 2012 with 65.94%.